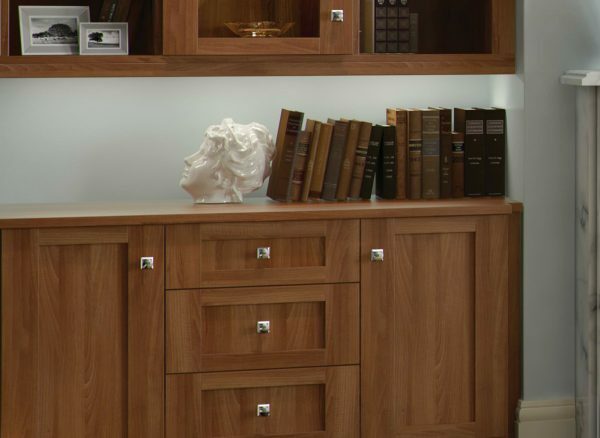 The rich Walnut finish and sophisticated style of this Verona lounge denotes a distinctive Shaker influence. It delivers an impeccable and versatile design, which can be configured to include fitted cabinet, shelving units and beautifully matching freestanding pieces. The elegance continues with soft lighting and smooth profiles. 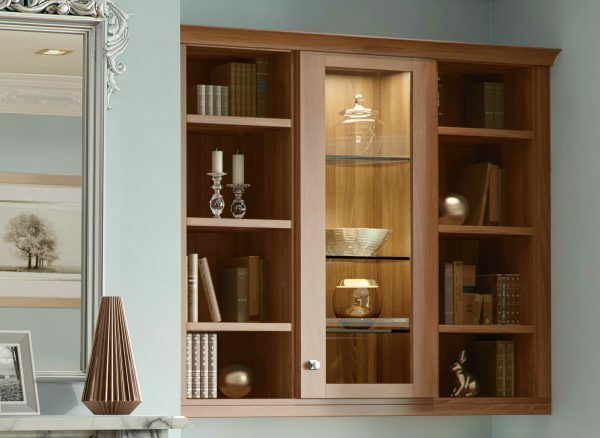 Warm and sophisticated, Verona bespoke fitted furniture blends easily with your present decor. 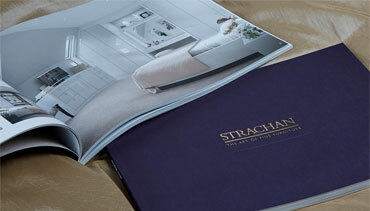 Every part of your Strachan lounge furniture will be designed and crafted precisely to suit you. These suspended cabinets have been made inch perfect to fit the alcoves, delivering wall to wall storage in a timeless Verona style. 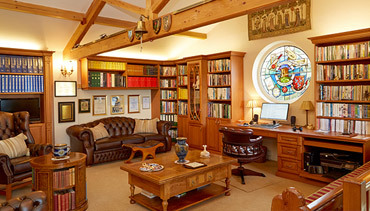 All our furniture can be configured to include hidden cabinets, display areas, shelving or soft close drawers. 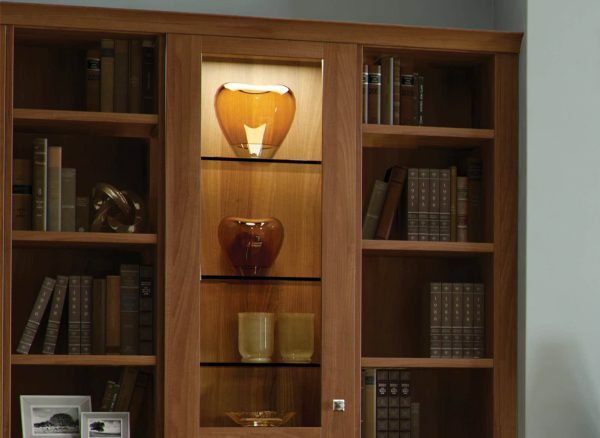 Draw attention to your most treasured items with our glass fronted display cabinets. These add a charming touch to your classic lounge and can be configured to include glass shelving and LED down lighting, for a glamorous effect. 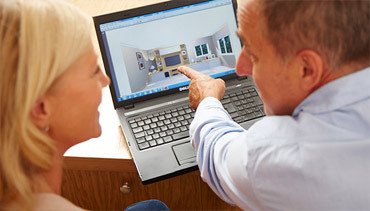 Along with bespoke shelving and cabinets, your Strachan designer can help you make the most of your surface space. This Verona cabinet worktop is ideal for storing books and decorative items. Designer details have been added in the form of LED lighting, illuminating the area for a subtle and stylish effect.